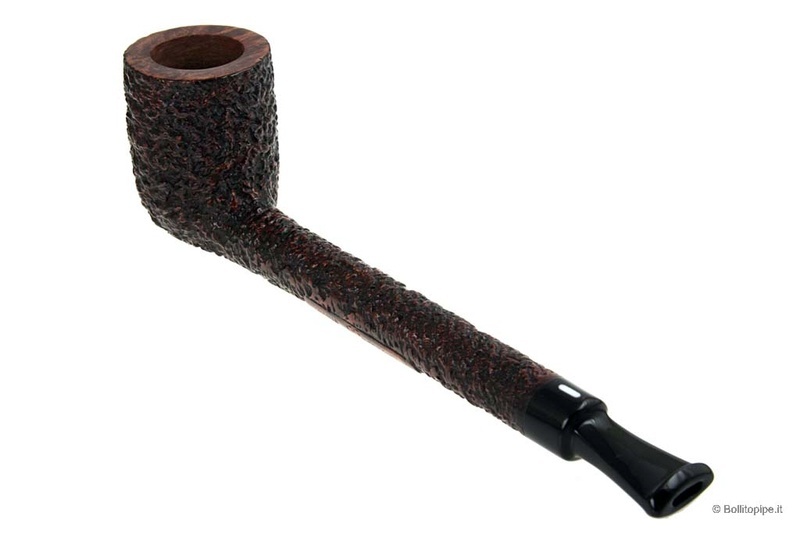 C&D Old Joe Krantz in a 2003 medium bend straight grain Viggo Nielsen sitter with a Cumberland-like acrylic stem.
' Speraa from Greece, from me one bowl of Gawith Hoggarth Black Cordial in a Aristocob with balsa filter. Rattray's Marlin Flake dated 2009 in my Radice Chubby Reubens Rhodesian Shape Bullcap Bulldog pipe, opened the draft hole to 5/32". Made all the difference and now enjoy this pipe!! Now smoking Dan Tobacco Mellow Mallard in a post WW2 Pre-Republic Peterson Dublin straight smooth X155 Bulldog with a sterling silver band and a black vulcanite p-lip stem. Ice tea and bergs is my drink. H&H WhiteKnight in my T. Cristiano rusticated Canadian pipe. Purchased this pipe on eBay at a STEAL!! Now smoking Seattle Pipe Club Plum Pudding Reserve in a black pebble finish straight 2003 Cavicchi C. Fatto A Mano lovat with a black acrylic stem. Ice water and bergs is my evening drink. C&D Bayou Night bulk version in my Savinelli 320KS Trevi pipe. Dunhill Nightcap dated 2007, tin version only. 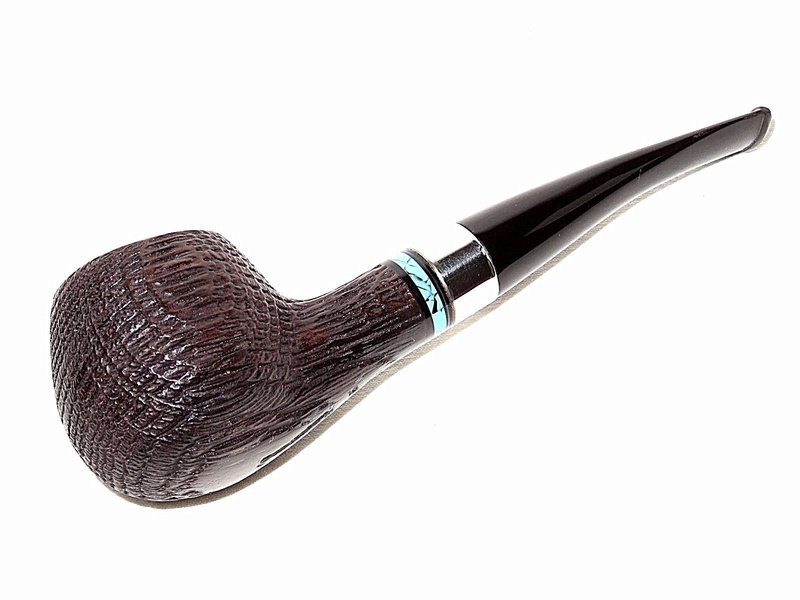 Pipe of choice: my Scott Thile sandblasted Lovat pipe. Sam Gawith Medium Virginia Flake in a very early Ascorti straight New Dear KS billiard with a smooth shank and black acrylic stem. Sutliff Red Virginia Ribbon in a smooth straight WW2 Pre-Republic Peterson Sterling Canadian with a sterling silver band and a black vulcanite p-lip stem. Now smoking circa 1970 Edgeworth Ready Rubbed in a very much appreciated 1979 brown, slight bend grain etched flat front Stanwell Rego 969-48 (09) with a black vulcanite stem. Mac Baren Gold blend 7 Seas - Gourd Calabash 1907 [modified by me], double Greek coffee and cool water beside me. Solani ABF dated 2008 in my Don Carlos Smooth Bent Bulldog pipe. 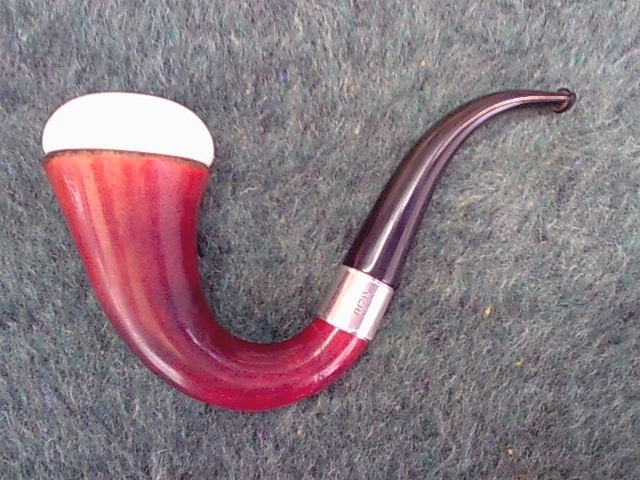 A blend of John Patton's Storm Front 70% and GLP Sixpence 30% in my custom made flame grain no name Lovat pipe. Half way through this bowl of Edward G. Robinson's Pipe Blend in a 2014 Basil Meadows smooth slight bend squashed tomato with an aluminum band and a black pearl acrylic stem. A can of the amazingly delicious Hansen's Mandarin Lime Soda made with pure cane sugar is my drink. Now smoking HU Directors Cut in a smooth straight Lane era Charatan Executive Extra Large stretch apple with diagonal channel cuts on the lower right and left of the bowl along with a black vulcanite double comfort stem. This pipe was formerly owned by actor William Conrad.